Conventional banks are racing into the Middle East and North Africa to tap the money within the region through Sukuks, Islamic bonds. Goldman Sachs is the latest non-Islamic bank planning to issue a Sukuk for a second time after cancelling its first attempt due to allegations that it was not abiding by the Islamic principles. HSBC’s Middle Eastern unit was the first non-Islamic bank to sell Sukuk in 2011 with $500million. Islamic finance has been growing rapidly. Zawya reported that global Sukuk issues this year has already reached $85,9billion through 456 deals globally compared to last year’s $74,9billion through 558 deals. The prosperous growth is expected to continue drawing more attention from Western borrowers. The involvement of top Western banks could help to develop Islamic finance by expanding its investor base and its pool of expert bankers. To avoid any controversy, documents from lead arrangers have shown that Goldman has chosen the Wakala structure over the Murabaha structure that it called off in 2011. 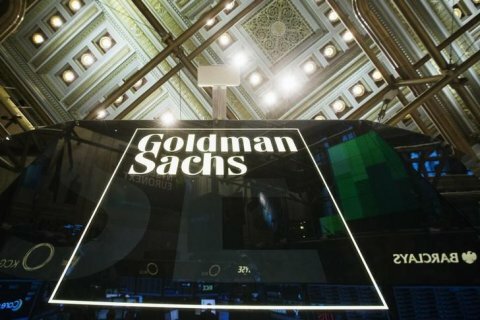 According to a source, “Goldman wanted to do something accepted by the market and has worked very hard on the structure with their sharia board and advisers, and also sought endorsements from the sharia boards of the joint lead managers, besides other experts.” Many investors sidelined its 2011 $2billion Murabaha issuance under suspicions that the bank might exploit Islamic finance. Goldman will meet investors from Qatar and the United Arab Emirates in two separate meetings to discuss selling sukuk. If it goes ahead as planned after the meeting, the Sukuk would be listed on the Luxembourg Stock Exchange with underlying assets linked to commodities and crude oil while the proceeds would be used in the commodities business of J. Aron & Co, a source revealed. Written by: Jaber Ali on September 5, 2014. Posted by Jaber Ali on Sep 5 2014. Filed under Finance, Headlines. You can follow any responses to this entry through the RSS 2.0. Both comments and pings are currently closed.